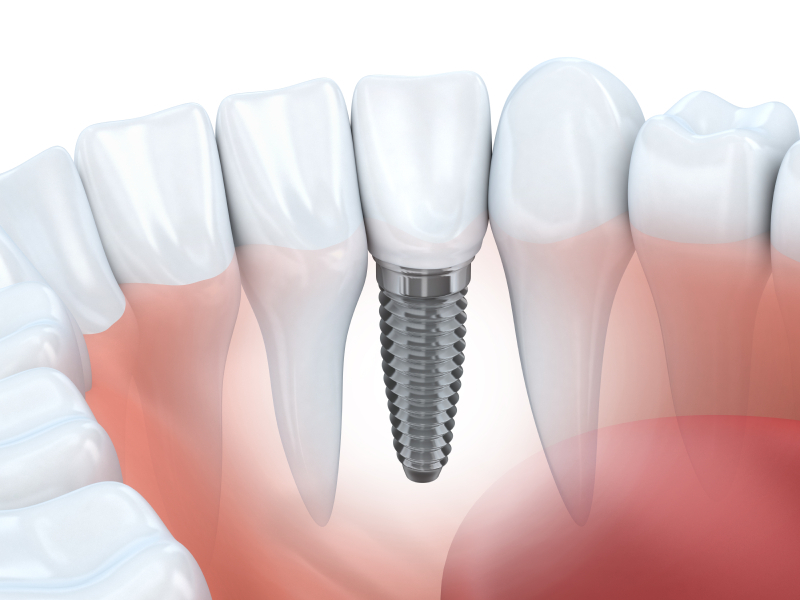 Many individuals and health professionals will agree that dental implants have revolutionized the tooth replacement process and oral health in general. They provide a proven, lasting way for patients to get back the smile they once had or gain the smile they never had. Over the years, a number of procedures and processes have been developed to fine-tune the way patients are receiving dental implants. ll need to be evaluated by a periodontist for criteria including bone and gum health, as well as certain conditions like osteoporosis. s jaw, meaning that those who have experienced extensive bone loss may not be eligible to receive treatment. In some cases, grafting may be used to encourage the growth of the underlying bone. This can be performed immediately after tooth extraction, at the time of dental implantation, or in the months leading to the implantation. Part of the natural process of a successful dental implant is for the surrounding gums to heal and attach to the implant. However, poor gum health may make the patient more susceptible to infection. As a result, infected tissue may detach from the area and lead to an overall implant failure. This means that in order to be a dental implant patient, there should be no presence of oral infection. Those who have any stage of gum disease (also called periodontal disease) should receive treatment prior to implants. An experienced periodontist can help with this entire process, creating a plan to eliminate gum disease and subsequently perform a dental implant procedure. Osteoporosis is a condition during which the bones lose density and become fragile and brittle. Due to the importance of strong, healthy bone to support dental implants, this can be a serious issue for patients. Those who have osteoporosis should speak with their periodontist about the complications that could arise. This is especially true for those taking a type of osteoporosis drug called bisphosphonates, which in rare cases can lead to a condition called osteonecrosis that affects the jaw bone. re eligible for the procedure.